Enjoy this Stygian and occult album featuring seven tracks of pure gloomy Doom Metal, masterfully delivered by an Italian quartet that has already succumbed to the dark side of music. Let’s dive deep into the sluggish and obscure realms of old school Doom Metal to the music by a Italian quartet that goes by the name of Summ, formed in 2017 in the Italian capital Rome. Comprised of Mark Wolf on vocals, Painkiller on the guitar, Marcas on bass and Rick on drums, Suum are releasing now in 2018 the full-length album Buried Into The Grave, featuring seven tracks of pure gloomy Doom Metal, bringing to your ears not only a Stygian sound tailored for the doomed, but also cryptic lyrics about darkness, doom and occultism, being highly recommended for fans of Black Sabbath, Danzig, Candlemass, My Dying Bride, Electric Wizard, and all other bands and artists that have beautifully succumbed to the darkest and most lugubrious side of music. If there’s rain, thunder and wind, you know the music is going to be doomed, which is exactly what happens in the opening track Tower Of Oblivion. Marcas kicks off this damned feast with his low-tuned bass until the rest of the band joins him in darkness, with lead singer Mark Wolf haunting our souls with his Black Sabbath-inspired vocals while Painkiller fires sheer obscurity through his riffs, with all vileness increasing in intensity until its crisp ending. And their Doom Metal mass goes on in Black Mist, led by the steady beats by Rick while the phantasmagoric vocals by Mark and the heavier-than-hell riffs by Painkiller generate a truly somber atmosphere; followed by Buried Into The Grave, which in my humble opinion is the most Stygian of all tracks of the album (hence, it would definitely make Tony Iommi proud). Not only the vocal lines are deep and deranged, but the combined sound of guitar, bass and drums create this gloomy creature that will mercilessly enfold you just like pitch black darkness. Last Sacrifice is another classic Doom Metal tune spearheaded by the slashing riffage by Painkiller and the slow but intricate beats by Rick, putting you on a trance and inspiring you to crack your neck headbanging, with the music flowing smoothly and darkly until the end. Then bringing the most acid and somber elements from Stoner Metal and Rock we have Seeds Of Decay, an atmospheric and sluggish creation by Suum with highlights to the rumbling sounds extracted by both Painkiller and Marcas from their hellish strings, whereas in the melancholic and introspective instrumental The Woods Are Waiting we face more rain and wind, going on for a bit too long though (albeit nothing that will make you skip it). And finally, rhythmic drums and scorching hot riffs ignite their last breath of old school Doom Metal, the somber extravaganza titled Shadows Haunt The Night, where Painkiller sounds absolutely on fire during the entire song, adding an extra touch of malignancy and obscurity to the final result. 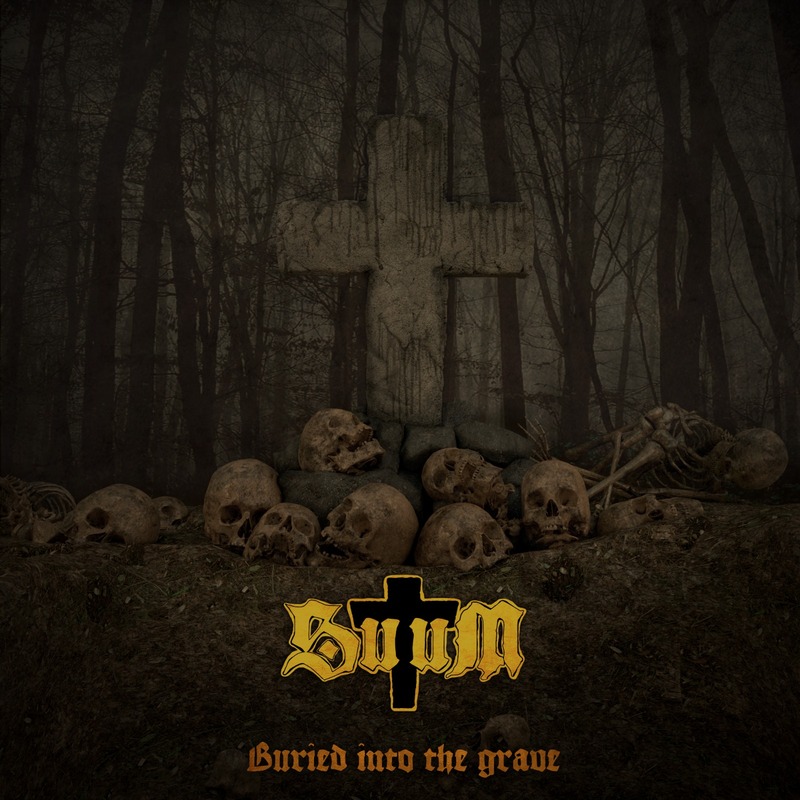 You can succumb to total darkness by listening to Buried Into The Grave in its entirety on YouTube, by visiting Suum’s official Facebook page, and obviously by purchasing such dense and entertaining album from the band’s own BandCamp page, from the Endless Winter webstore, from the Hellas Records webstore, or from Discogs. Those four skillful Italian metallers not only live up to the legacy of traditional Doom Metal, but based on the high-quality of the music found in Buried Into The Grave, they’re also more than ready to carve their names in the history of such distinct music style. Best moments of the album: Tower Of Oblivion, Buried Into The Grave and Shadows Haunt The Night. Worst moments of the album: The Woods Are Waiting. 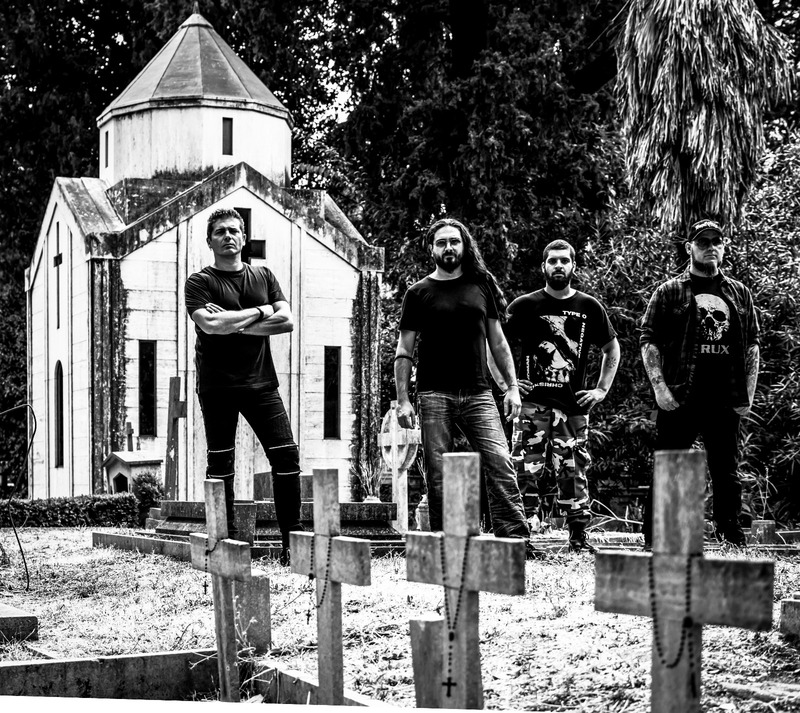 This entry was posted in 2018 New Releases and tagged buried into the grave, doom metal, endless winter, hellas records, italy, marcas, mark wolf, painkiller, rick, rome, shadows haunt the night, stoner metal, stoner rock, suum, tower of oblivion by Gustavo Scuderi. Bookmark the permalink.